The best oil filter … are they really that different? Will paying 8 bucks as opposed to 30 bucks guarantee a problem with the oil filtration? Or is it all … hype? There’s certainly something to be said for buying a quality oil filter. 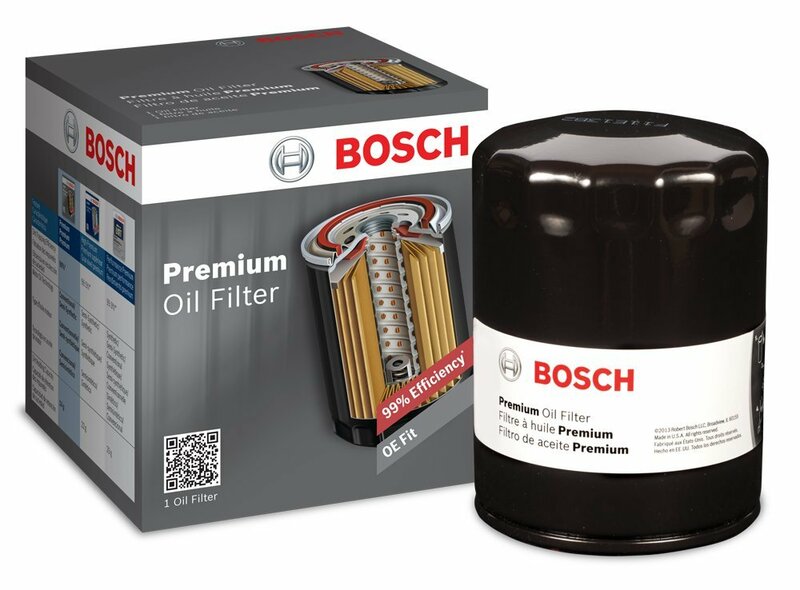 But if I’m honest, I read a lot of consumer reviews about this product, or that product and how you should do X,Y or Z to get the best from it, but I also read a lot of consumer stuff where the consumer has little knowledge, and it seems that high quality oil filters fall in to that bracket. ​What’s worse, is that a number of these consumers are giving people bad information, or let me rephrase that … poor information. You see, there’s a lot of talk about how ‘this performance oil filter is so good because it my oil is as clean as a whistle’, and yet there’s two very important things to understand. ​The first is that they go on to say how they change their oil every 5,000 miles ‘religiously’ (when there’s no need), ​even more important, holding or containing surface contaminants is part of the job for oil … sure, it lubricates things, but it’s also designed to encapsulate debris, so getting dirty is a natural state. ​Let’s deal with that first point – short interval oil changes. ​Yes, I understand why people do that, I can see that in some situations, it may have a benefit, but for regular people, with regular vehicles, there isn’t a need for it, certainly not with today’s blend of fully synthetic engine oils. ​In around 90% of cases, you’ll be wasting your money. ​More often than not, it’ll be information that’s been passed along the family, from generation to generation … “you need to look after your engine, change the oil every 5,000 miles and you won’t have a problem” but that may have been true when mineral oils were all the rage, ​that hasn’t been the case for a long time. ​Let’s be clear, I’m not saying that it will cause harm, or even not to do it, just that there’s no actual need to do it, unless you fit certain criteria. ​So here’s where people may take issue with my advice … I’ve worked in the automotive industry for nearly thirty years, everything from cylinder head gas flowing through to engine dyno technician, IndyCar, F1 and MotoGP engine builder, on to company ownership and of course, consultancy. I know a thing or two about engines and how they work. ​In all that time, how many technicians, mechanics, specialists (whatever you want to call them) have I known that change their oil at 5 or 6,000 miles in their regular road car? Zero. Unless ​they’re being sponsored by an oil company and have literally gallons and gallons going spare. ​How many of them have I known that go way over the manufacturer’s recommendation for service intervals? Most of them. ​Another question … how many of them use the most expensive oil on the market because it’s the most expensive, and therefore ‘the best’? I’ll give you a clue … it begins with Z and rhymes with hero. ​Choosing your oil, filter and service intervals is all about what’s appropriate – don’t use that super expensive oil that costs $75 a can unless you specifically need to. ​It’s the same for oil filters – will the ‘racing’ oil filter that’s 4x more expensive be four times better? Doubt that. ​Some years ago, I worked for a sports car manufacturer, they were just getting in to GT racing. Their regular road cars were quick but fragile, they had a tendency to let you down, regularly. On the first proper testing session for their new race car, they couldn’t get it to work properly – something badly wrong with the suspension, their best brains couldn’t figure it out. ​They were adamant that the suspension setup was perfect … “it’s based on F1 car technology, it HAS to be right”. ​Oh, you mean the cars that can produce around 12,000 lbs of downforce? Whereas your racer will probably make less than half of that. Completely inappropriate. And that’s my point … more expensive, bigger, faster, stronger doesn’t necessarily make it better for your need. ​All of these eight filters will do the job well, some have manufacturer recommendation, some are OE supply, it’s more about the brand rather than the technical specifications. 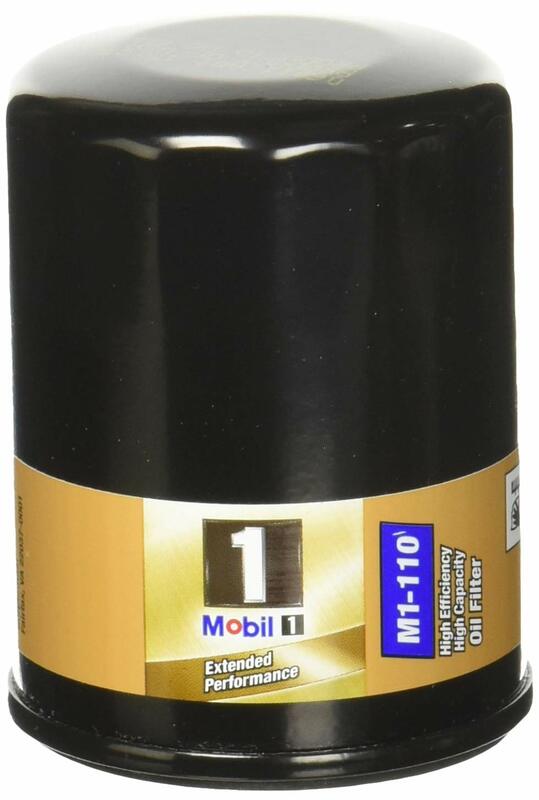 ​Mobil 1 oils are top quality, providing they suit your requirement, and what better way to maximize the quality of the oil than with a Mobil 1 filter? The extended performance filter has been designed to go the distance, quite literally. ​It uses a synthetic fiber blend as the filtration media, which (should) mean that it doesn’t breakdown over time like a paper filter. The filter can strain 99.6% of contaminants, and hold up to 28 grams of debris, which is roughly twice as much as most of the competition. With that said, I’d doubt you find 29 grams of particulate in your engine. ​The internals and casing are built to withstand pressure – up to 9x more pressure than most oil systems will provide, and there’s a silicone anti-drain back valve fitted. Available in both cartridge and spin-on type filters. ​Motorcraft are the recommended supplier to FMC – Ford Motor Co., so you know that their stuff is high-quality and made to fit properly. The filter uses ‘ironed’ steel for the case (no, I’ve not heard of that either) which is meant to give it a precise fit. ​It features an anti-drain back valve along with an oil pressure relief valve which should help to deliver a consistent oil feed to the engine in extreme cold weather, or if the filter gets clogged. Motorcraft say that the screening media is more efficient than the competition, which should offer increased dirt collecting capability, with the ability to screen more of the particles like carbon. 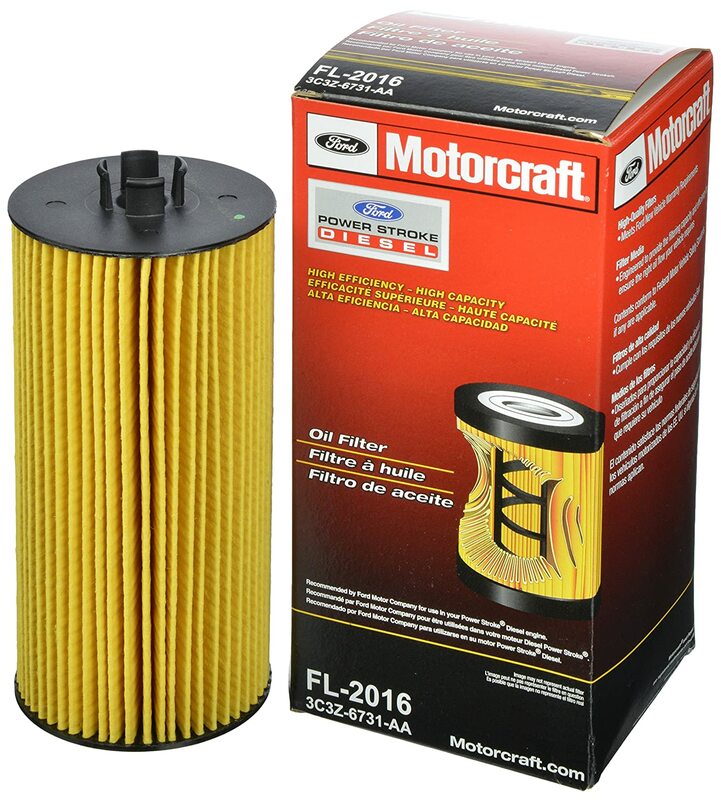 ​I guess if I owned a Ford, this would be the filter I’d choose, purely on the basis that it’s OEM (Original Equipment Manufacture). ​The cheapest filter here, and still made by a company with a worldwide reputation … which gets me back to my point about the fact that high cost doesn’t necessarily mean a better product. ​The FILTECH is a proprietary blend of natural and synthetic materials, the screen itself has around 42% larger surface area, and is 30% thicker than most of the standard competitors – ​it is the best cheap oil filter for you when traveling across the desert or through the jungle. ​The filter screen incorporates strong steel base plates, and the case is durable which helps to protect against leaks & poor fit through warpage. A silicone anti-drain back valve is fitted internally, and the ‘high lubricity’ seal gives a tight seal while still being easy to remove when it comes to the next oil & filter change. ​Fitted with ‘SureGrip’ technology! Essentially, this just means that the marketing people at FRAM have thought of something that most of the other manufacturers don’t do (because it really isn’t needed). 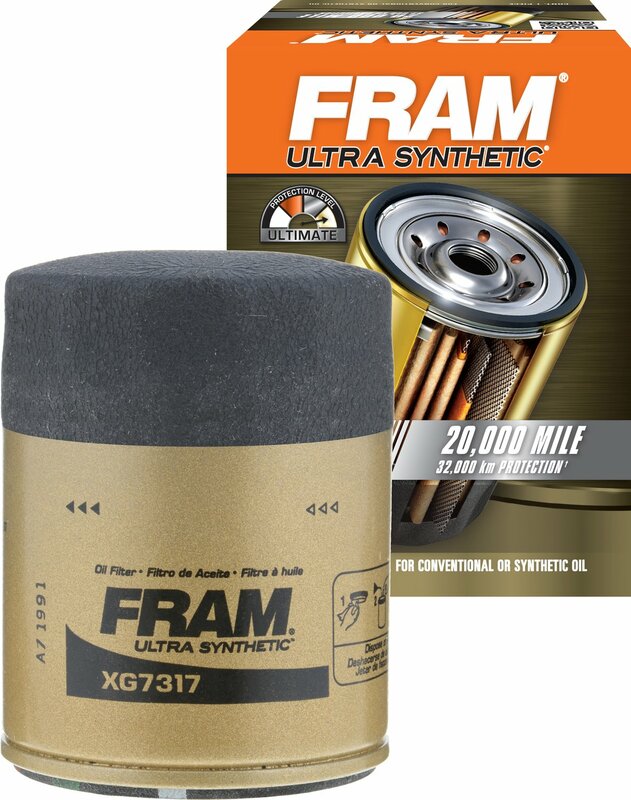 ​However, aside from the marketing spiel, the FRAM Ultra Synthetic filter is aimed at long life, protecting the oil and the engine for up to 20,000 miles, thanks to the dual layered, metal reinforced screen. A 99% screening rate means that it really is just the tiniest of particles that make it through, for all else, the filter works well. ​If you’re like most owners, that are paranoid about engine oil ‘life’ and want to guarantee protection for more miles than the service interval recommends, then this is the filter for you, and FRAM have an excellent name in the aftermarket parts business. ​Let’s get this out there … I’m a big fan of K&N air filters, I do believe that they work how they’re meant to, and that they offer an upgrade over standard filters, but paying nearly 6x more for an oil filter over a recognised branded filter is just … not something I would do. ​With that said, I do see some benefit, under certain circumstances​. Like if you were racing for example, and that’s purely because of two features – a 1” nut welded to the bottom of the case for easy removal, and a pre-drilled hole for safety wire, which is sometimes a prerequisite for a race car. 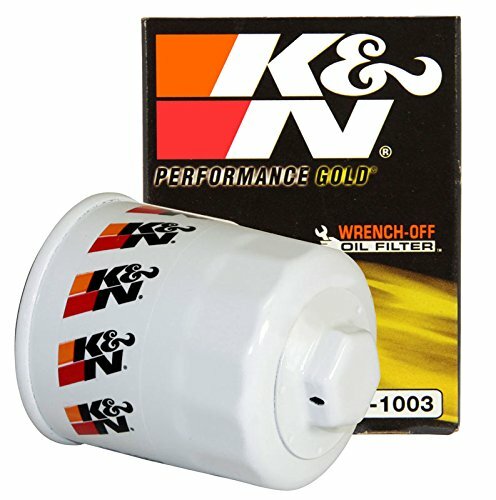 ​The K&N HP-1003 has all the regular features of an oil filter: anti-drain back valve, high quality media for screening those pesky contaminants, and heavy duty construction, but K&N also say that it has a higher flow rate, which is suited to racing engines. In my experience, most high-flow, high pressure oil systems use a cartridge rather than a screw-on, but for those running this type of filter, then maybe the extra dollars are worth it. ​One of my old race cars was sponsored by Royal Purple, and their oil is good quality, so the theory extends to their filters. 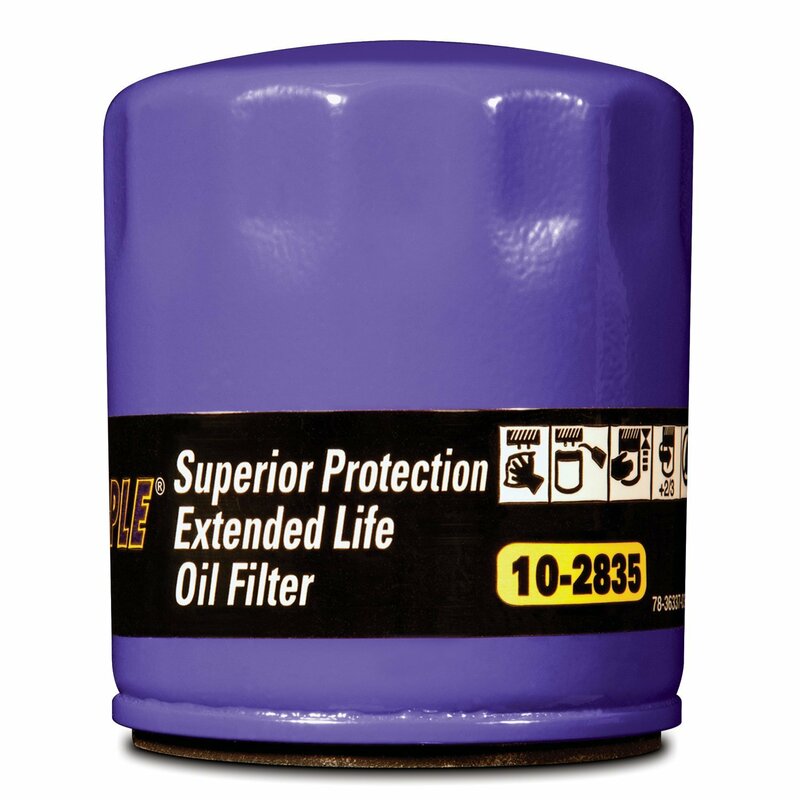 ​This long life oil filter uses a thicker shell to protect it from bumps & knocks, and the metal end caps provide a good, solid seal for the screening media, which is 100% synthetic – Royal Purple say that it offers superior filtration over some of the other brands. ​A silicone anti-drain back valve is fitted internally, and the whole filter has a higher ‘burst strength’, although if I’m honest, I’m not sure how relevant that is. ​ACDelco are OE suppliers to General Motors, another big brand that offer high quality components, at sensible prices. The engine oil filter has a 98% multi pass filtering efficiency at 25 – 30 microns. It uses a cellulose media, which is held in place by thermosetting adhesive, so it should never move, which could cause the screening to fail. 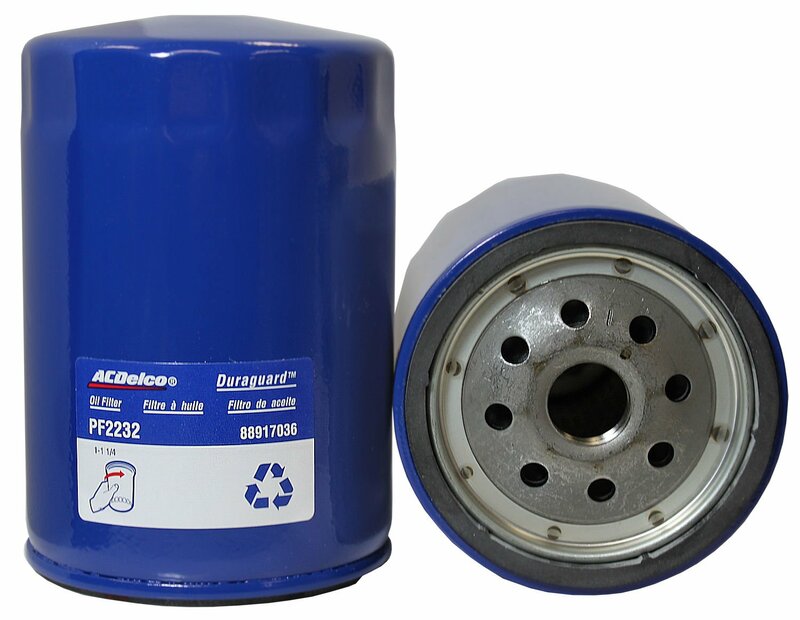 ​This filter gives a constant and consistent flow rate, with a highly durable design, which ACDelco say has a burst strength 5x greater than any other filter … whether the oil seal which mates between the filter and the engine would cope with that remains to be seen. ​Same as the Motorcraft, I’d choose this, purely because of the OEM connection. 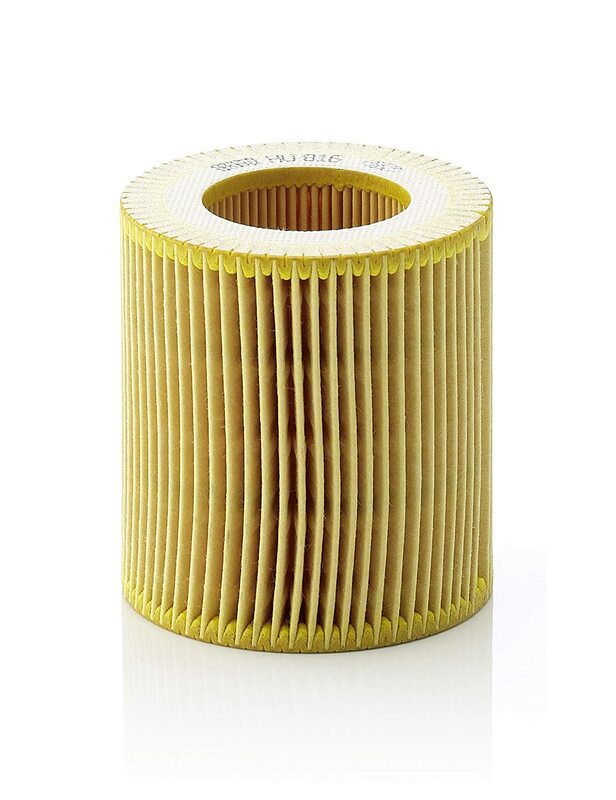 ​This is a cartridge style filter, and thanks to the pleated design, it has a high screening capacity with a large surface area, giving the optimum protection for your engine, or at least that’s what Mann-Filter say. It has a 99% screening capacity, and provided it’s fitted correctly (because it can be more awkward than a screw-on), should offer high levels of protection for you. ​I thought I’d round out the review with a little advice – an oil filter is really only as good as the person that fitted it – over-tighten it, or don’t tighten it enough and you could find yourself with an oil leak. Some filters will come with a rating to be torqued to, ​and the reality is that you shouldn’t need anything so specific. ​Providing you have coated the oil seal with a light coating of oil, the filter will screw on easily without too much effort, and the oil will allow the seal to find its seating without being pinched or damaged. ​Once you’ve changed the oil and filter, check for leaks after a brief run (before it gets too hot!) and clean up where necessary. Simple as that.